When Is Your Dog Good Enough? WHAT DOES IT TAKE TO HAVE A "GOOD ENOUGH DOG"? Although I pride myself on being a mom first, dog trainer second, where ever I go I’m seen as the Dog Mommy. Just yesterday, at the basketball court with my son, I was happily mauled by a sweet, if a little misguided, terrier named Pippin. More to protect my sweater than to train the dog, I taught Pippin a quick "sit-stay" without uttering a word. Pippin’s mom begged for my secret, which I’m glad to share with you too, at the end of this piece. The first and best clue I can offer up, from one parent to another? Kids and dogs (and men for that matter!) are a lot alike. Clues to living with one will enlighten the other. The best news for loving dog parents? It’s never been easier to raise a "Good Enough" dog. With Modern Sciencepointing the way, and child psychology a step ahead, it doesn’t take a degree in rocket science, shock collars or even a dog training course to raise a dog who doesn’t pull on the leash, jump on strangers, bark at passers by or steal shoes. What does it take, you ask? Common sense. Here is what you need to know before you begin. All types work, positive attention, negative attention, and everything in between. If you want a "Good Enough" dog you need to teach your dog the meaning of a few important words, like Sit, Stay and Come. Let your dog know when to use those skills (Sit when you want me to pet you, Come to me when the leash is tight and Stay during quiet time), and resist your impulse to use negative attention like shouting or chasing or (god forbid) shocking or hitting your dog. Why? Negative attention will scare your dog; not only will he act like a scared, confused animal, he won’t learn what he should do instead. Kids and dogs are inherently silly. They like when you act up. So with dogs, swinging your arms as though they were a happy tail, making weird snorting and high pitched exclamation noises, and flinging toys & treats around are all great ways to get your dog’s attention - both when you’re acting silly, and even when you’re not. Playing with your dog is much more important than training him. Dogs are not serious; grown-ups are serious. Dogs would much rather spend their time sniffing, chasing, exploring, and playing games - like kids! Remember, all dog training boils down to is teaching them English as a second language. Teach your dog words while you play. For more details on how to do this, check out my book Modern Dog Parenting (St. Martins Press) or Puppies for Dummies (Wiley and Sons). Dogs, like kids, really have no idea how to act in most situations. You wouldn’t take a toddler into a store or restaurant and just ignore them, right? You’d tell them what to do and where to do it. "Stand here, play with this...". Well, dogs need direction too. Here are a couple of daily situations that can go either way, depending on how sharp your parenting skills are. Situation #1 - What do you do when your dog barks at the window or in the yard when he sees passersby? If you’re like most, you shout or drag them away. Here’s a different take on this classic routine: chose the right answer from the choices below. a) Ask him to Sit before he barks. 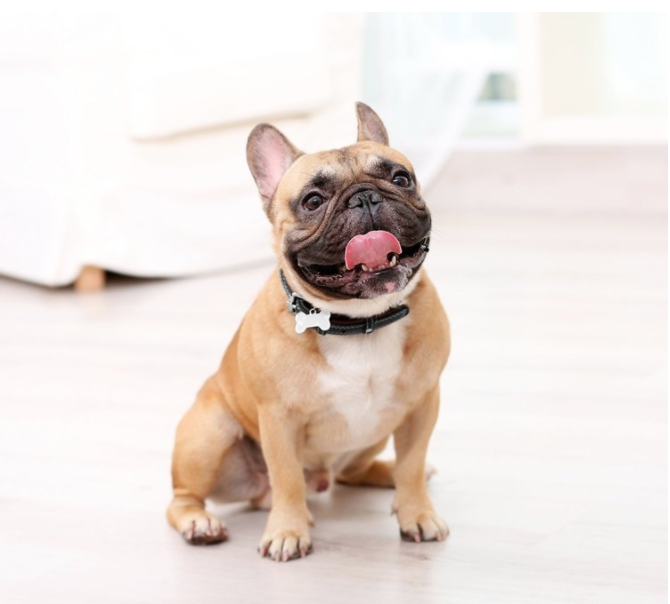 c) Shake a treat cup as you say "Thanks, Come" in a familiar upbeat-strong voice tone, as you walk your dog back into the center of your home or yard. d) Any of the above depending on what works for your dog. Still confused how to create your own modern science training equation? Drop me a lineif you need a hint. a) Cover your face, AKA the Peek-a-Boo Solution. b) Hold a treat an arm's length away, lifting it up when he jumps and dropping it when he stands calmly or sits down. c) Teach your dog how to sit using a toy or treat cup, then carry one when walking or greeting visitors. The answer to both of the above questions is (d). Dogs are similar to children, they’re all motivated by different things. It’s all common sense. Modern science even shows us that it’s true. So what worked with Pippin yesterday at the court? The answer is (b)! As a dog teacher who uses fun and games along with positive reinforcement, I generally have a stash of goodies in my pocket. So teaching dogs good manners on the fly (and also to save my clothes) comes naturally to me. You can do it too!